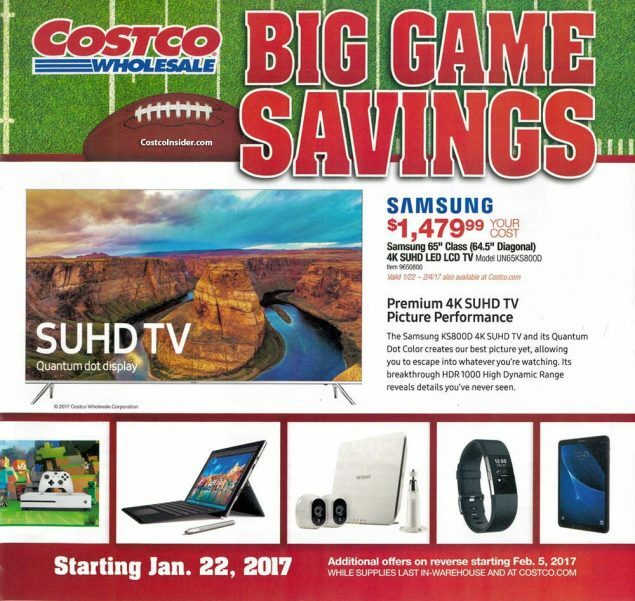 We’ve just posted an early preview of the upcoming Costco Super Bowl TV and electronics ad. The sale starts January 22nd and runs through February 4th. When you click on the link above it will display the coupons so you can view them. 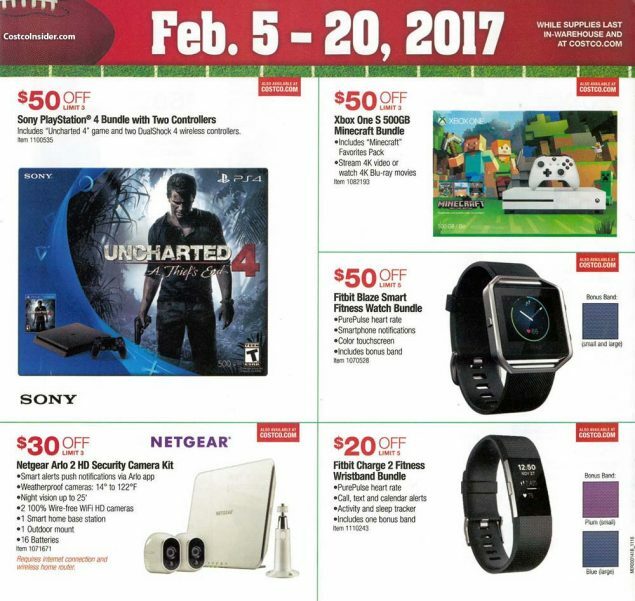 There is also 5 more items on sale from February 5th through February 20th, and those are all displayed on the last page of the coupon book. The January coupon book also runs during this time, so make sure to check out the deals in there too. If you’d like to be notified as soon as we post the latest coupons you can sign up for our email list, or Like us on Facebook! 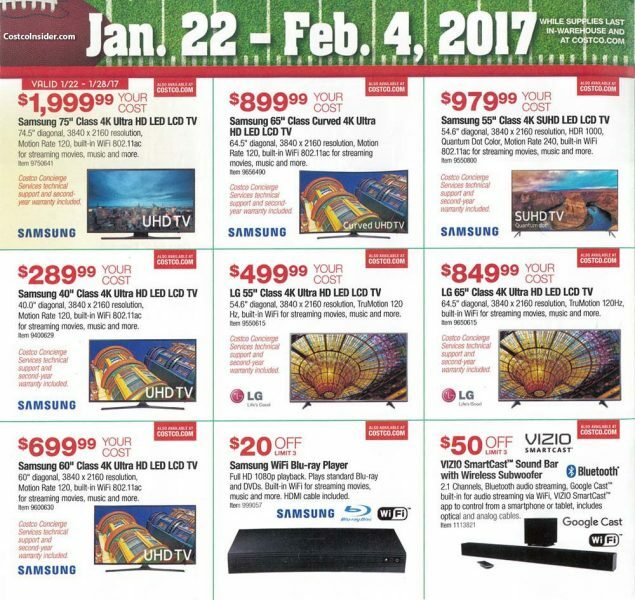 There are some pretty good deals in the Super Bowl ad. I’ve been watching TV prices for a few months now since I’m looking to pickup a 40″ TV and this is about the best pricing you’ll find outside of a Black Friday doorbuster that likely sold out in 30 minutes. With CES happening last week, where they announced all the new technologies and new models of TV’s, this is the time of the year where prices get slashed. As for ourselves, we’re excited about the 40″ Samsung 4K TV and plan to pick it up at $289.99. 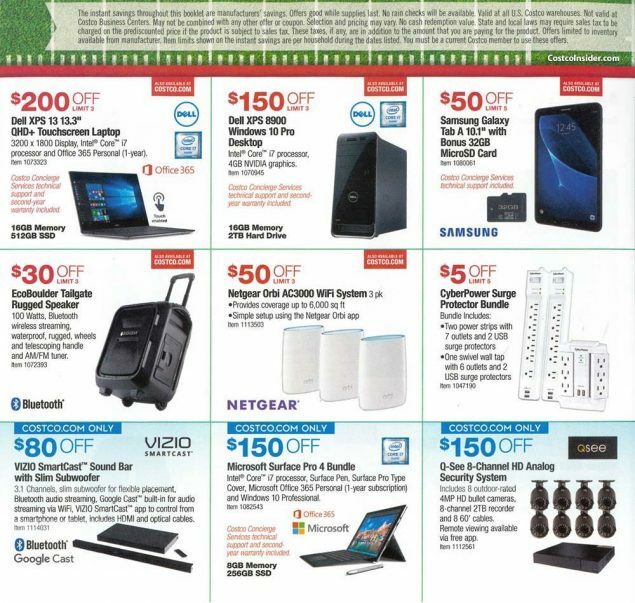 There are also some other electronics deals that are pretty good too. Which of the TV’s or other electronics seem like the best deal to you? The 65″ and 55″ Samsungs are also great deals in our opinion.